Kelda writes-2017 Here We Come!! So, that’s 2016 put to bed and all eyes are now looking towards what 2017 will bring! I know a lot of people have considered 2016 to be a bit of a stinker of a year….for me, I wouldn’t say it’s been a stinker, but it’s definitely been one hell of a journey and had it’s fair share of challenges! 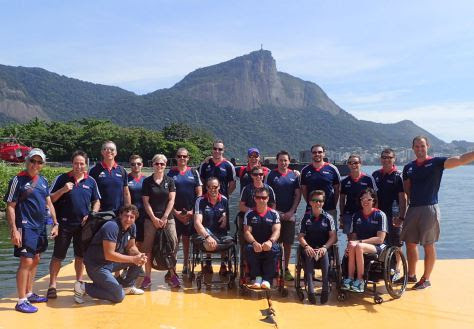 This time last year I was just about to head out to Rio for a 3 week training camp in preparation for the Paralympic Games. 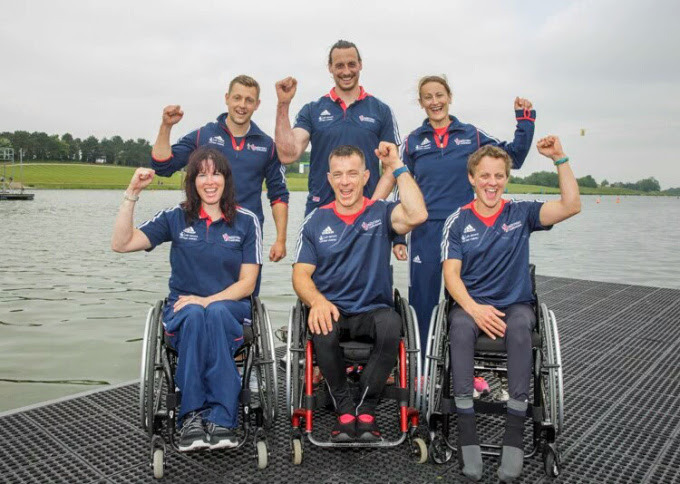 From there followed the appeal against my non selection for the World Championships, the World Championships themselves, the final selections for Rio, coping with not making the team…..which then all lead to me joining the Adaptive Grand Slam Team and heading out to Chamonix in September. And now, I’m sitting here 12 months later, just 5 days away from getting back on a plane, but this time to take on a very different challenge! I could never have imagined what these last 12 months were going to bring, and looking back, I’ve learnt 2 important things. Firstly, to enjoy the journey. One thing has led onto another in a slightly crazy kind of way, but I could never have planned or expected the journey I’ve been on….so who knows what’s going to happen in 2017! But I’m determined to embrace and enjoy every bit of it, because the one thing I do know is that it will take me somewhere….it’s then up to me to make the best of wherever I end up. The second thing I’ve come to realise, it’s that I’ve got a choice. 2016 had it’s testing times….but I made a conscious decision to choose to value all the amazing experiences I’ve had, good and bad, and to look at everything I’ve learnt, and use those learnings to keep moving forwards in a direction I want to go. And I’ve learnt so much….about the core values I want to live my life by, about the person I want to be, and about what is truly important to me. And with that in mind, I’m stepping into 2017 with a smile on my face and a determination that I may never have found if I hadn’t had the challenges of 2016…..and I’m making the choice to approach these next 12 months with a sense of belief in who I am and the person I want to be. So, the first challenge of the New Year is Aconcagua! I’ll be setting off with the rest of the AGS team to climb the 7,000 metre peak in Argentina on the 6th January. I know this is going to be one hell of a challenge! With the injury I have to my leg, it’s going to painful, there’s no escaping that….but I’m making a choice, and that choice is that I’m going to do everything in my power to climb this bloomin’ mountain!!!! I’m aware there are outside influences that we’ll have no control of, such as weather conditions and altitude, that may prevent us from submitting, but I’m choosing to approach this with a determination and positivity, that if this alone could get us to the top, then I’d have not a single doubt that we’d get there! I think we all know the answer I’m going to choose! This entry was posted in Blog, Kelda Writes, News on January 6, 2017 by Ruby. So Rio feels like it’s almost a distant memory…..and in what seems like a quick click of the fingers, everyone’s attention is turning to Tokyo. I’ve always said that life is very much like a sat nav, you put in your destination and set off on your journey, but so often you come across hold ups or diversions that sends you on a different route….and sometimes you change your destination altogether. Over the last 2 years I’ve been on the most incredible journey, some of it good, some of it not so good….and some of it bloomin’ amazing!! You never know quite where each turn is going to take you, and that’s never been more true than over the last 8 weeks. Having failed to be selected for Rio, I was feeling pretty lost…..What was my goal? What was my motivation?……. And then I was given the amazing opportunity to join the AGS Team. The Adaptive Grand Slam Team are attempting the mountaineering Grand Slam, that’s the 7 highest peaks in the 7 continents, plus the North and South Pole. This is no mean feat….especially when you consider that they’re attempting to do it with an adaptive team, something that has never been done before. So everyone on the team is either registered disabled, or has been medically discharged from the military as a result of injury. So just after watching my team mates smash it up in Rio, I headed off to Chamonix for a training week preparing for a summit attempt of Aconcagua, a 7,000m peak in Argentina. It was the most incredible week with an awesome bunch of guys, and a week full of challenges, support, teamwork….and lots of laughs! I could easily write this whole blog telling you about the week, the training we did, the highs, the lows, and how stunningly inspiring the mountains were….but there’s actually a different message I want to say. Because for me, the week reminded me of the person I want to be, and the values I want to live my life by. 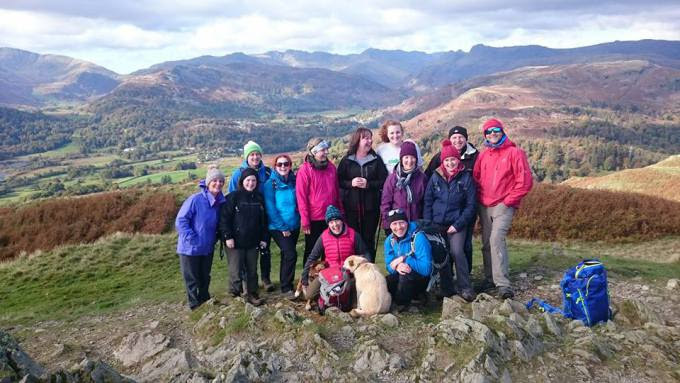 It wasn’t about being ‘the strongest’ or ‘the fastest’ or ‘the best’….it was about working as a team, supporting each other, and the challenge was between yourself and the mountains. It made me stop and think….was paddling 200m faster than anyone else really so important!! Don’t get me wrong, every athlete wants to win, that’s the whole point in beating yourself every single day in training. But what really matters, what really counts, is about giving it your best. And if every day you strive to be the best version of yourself, you look out for other people, and you live your life by the values that are important to you, that, if you ask me, is what’s really important. And so I’m smiling on so many levels, because since the end of the racing season, I’ve also been able to put some real time and effort into Climbing Out, something that’s so close to my heart, and something that I feel I’ve neglected while I’ve been focusing on Rio. To see the growth and development of Climbing Out and the young people involved is something that makes me so, so proud….and there’s some amazing journeys going to happen over the coming months and years with the charity, and these will be journeys that I know will take so many young people to new and exciting places too. Last weekend we ran a taster weekend involving several organisations that are looking to send young people on our programmes in the future. The passion, energy and enthusiasm from anyone was evidence of the great work the charity is doing, and with everyone working together, we will undoubtedly be able to reach more and more young people in need of support in the future. So for me, what an amazing journey it’s been, and I’m excited about where it will take me next, and the people we can help along the way. I didn’t end up going to the place I thought I was going to, but where I ended up, well that’s a pretty awesome place to be! This entry was posted in Blog, Kelda Writes, News on October 28, 2016 by Ruby. Kelda writes.. I feel a little bit in limbo.. So it’s now been 6 weeks since the selection regatta for Rio, and I’ll be honest, there’s been a mixture of emotions. It’s been amazing watching the 6 athletes selected continue on their journey, their focus, their intensity, their excitement…..but it’s also been quite difficult, as it’s sunk in that this is really happening, and I’m really not part of it. Every stage of our training plan for the last 2 years has been geared towards Rio, and it’s difficult to find the same motivation and determination now that goal is no longer there. I always promised myself that I would remain committed to being the best I can be, even if I didn’t get selected, as we still have one more regatta to go in September, and there’s still everything to prove to keep my place on the squad for next year. But it’s not all doom and gloom! The one opportunity that has come out of not being selected is the fact that I’ve been able to pick up some of my other work that I’d put on hold for the last 12 months while I focused on selection. Climbing Out is growing at a rate of knots and our first programme of the year takes place at the beginning of August. It really does feel fantastic to be putting time and effort back into the charity and the young people that get so much out of the work that we do. 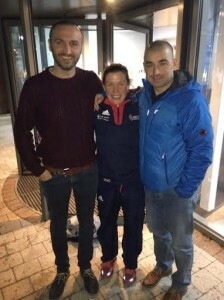 I’ve also been back at The Battleback Centre as a member of the coaching team which is always so rewarding, and I’ve been travelling up and down the country with my motivational speaking. All of this is amazing work and I feel privileged to get to meet so many incredible people. But it’s left me wondering exactly who I am…..for the last 18 months I’ve been an athlete, and I’ve known exactly what I’ve been aiming for. But suddenly that goal, for now, has gone, and I feel a little bit in limbo. 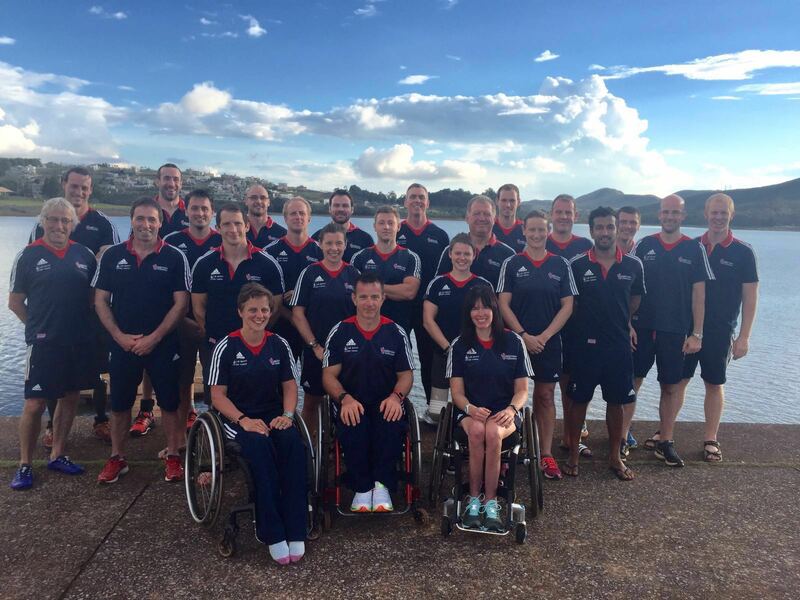 I can’t wait to see my team mates smash it up in Rio….and I know they will. But there is a part of me that’s going to be watching wishing I was there instead! I guess sometimes there’s a period in our lives where we just have to put our head down and keep going….it’d be unrealistic to think life can be amazing 100% of the time. I certainly don’t want this to be the end of the journey, so I’m trying to see this as just the part where I’m stuck in a bit of a traffic jam! The challenge is to keep going and not give up…..and I will always accept the challenge! This entry was posted in Blog, Kelda Writes on July 24, 2016 by Ruby. So this is the moment I’ve been waiting to come for the last 2 years…to tell you whether I gor selected for Rio Paralympics or not! As you’ll know if you’ve read some of my previous blogs, this hasn’t been the smoothest of journeys. I’ve always tried to be open & honest with what I’ve written, for me the whole point in this blog is to show that often the things that matter the most to us, are the hardest things to achieve…but the important thing is to keep trying, never give up, to never be afraid of failure and to always be the best person you can possibly be. So the week before the final selections I struggled to stand by all those things that I’ve said! But hey, we’re all human…something that I think goes hand in hand with all the positivity, is to be kind to yourself. We’re all allowed a bad day! And boy I was having a bad day!! The day before the selections I just let it all get on top of me. And the thing that upset me the most was the fact that this was the day we’d been focusing on for the last 2 years, and here was me wishing I wasn’t even there! It just wasn’t meant to be like this!! But sometimes I think we have to accept that when things really matter to us we’re going to get emotional. Actually it’s a good thing, because it shows just how much we care. And I woke up in a different place the next morning. I was ready to get out there & give it everything! But the difference in my attitude was this… I recognised I had a big challenge ahead, I had to beat the current World Champion if I was going to get selected, so the only thing I could do was get out there, give it my absolute best, and as long as I did that, the outcome would take care of itself. I just wanted to deliver the best race I knew I was capable of, and yo stay true to the person I wanted to be, If I did that I would be happy, whether I got selected or not. And I delivered… I didn’t manage to beat the World Champion, so I won’t be on that plane to Rio, but I hit a personal best in both races ^ managed to go sub 54 seconds for the very first time. And I am happy. I know I paddled the best race I possibly could & I was beaten by a better paddler on the day. Anne Dickens is World Champion & beat me by over 2 seconds, she is without doubt the boat to go to Rio & I am excited to see what she will do at the Games. As I told her after we finished the race “You just better make sure you get out there and win Gold now” No pressure Anne! 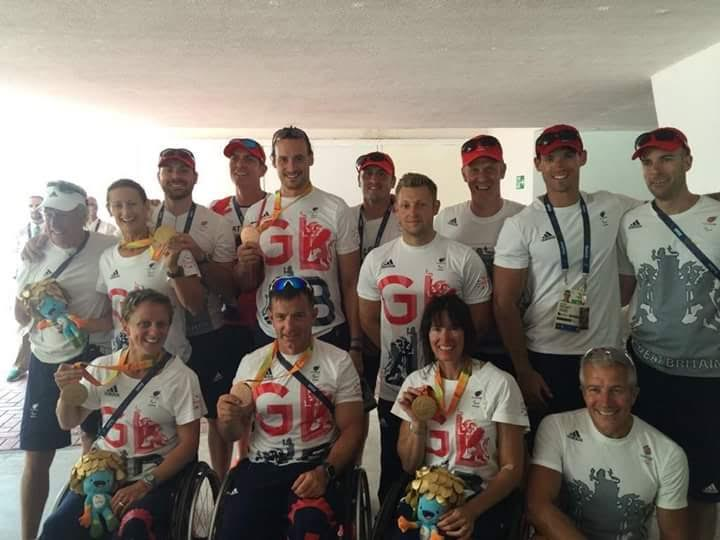 It was the most incredible day, with so much emotion and passion from all the other athletes. I feel lucky and proud to have had the opportunity to experience being part of it, How special is it going to be able to watch my team mates competing out in Rio and I am genuinely excited to see what they will do. 6 incredible athletes have been selected who are going to do Team GB proud! This entry was posted in Blog, Kelda Writes, News on June 20, 2016 by Ruby. Kelda Writes “It’s all about how we choose to see things.” …. When I look back over the last few weeks, I can see it through two very different pairs of eyes…and I’ve had to realise it’s my choice which pair I decide to look through. So I had to take some time before I started writing this blog, to work out the choice I wanted to make…because the easy choice isn’t always the right choice. And here’s where the choice comes in. So looking at the bigger Paralympian picture, this wasn’t a great result. 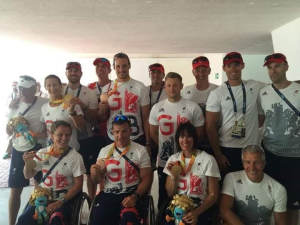 I was a long way out of the medals, and with Anne Dickens, the GB first boat, laying down an impressive performance to win Gold, the chances of me getting selected for Rio are looking pretty slim. For me personally, I paddled well, I hit a PB, and I learnt so much from the experience. 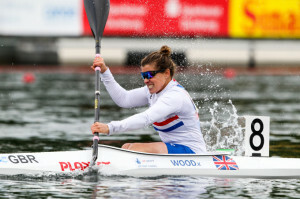 I know I’ve come away a better paddler…and I know there’s still so much more to come from me before I’m done!! So the easy choice would be to see this as a negative & to grumble about “if only” this and “if only” that. But where would that get me! I’d probably want to walk away from the sport and feel like I’d failed. So this is how I’m choosing to see it… it was an amazing experience and I was so proud to be out there and to be part of an incredible squad. Yes, it was disappointing when I look at it in the context of Rio, but I gave it everything I had, and I need to accept that wasn’t good enough then it’s all part of my paddling journey. I might not have achieved the result I wanted but I can be proud that I gave it every bean that I had. I need to take the positives, learn from the experience and stay committed to achieving what I believe I am capable of. I know there’s still a stronger, faster athlete in me, and it’s now it’s just a case of resetting the goals, and giving me a bit of time to find her! And it’s not over yet! It now all comes down to the 4th June, the final selection regatta for the Games. It’s going to be a challenge, but I’ll be sat on that start line on Satirday ready to give it my all! We all put everything into our sport! It’s been the most amazing journey and I know, whatever the outcome, I’ve given my absolute best. So, the choice I am making ….to smile, enjoy and be proud, to appreciate the journey and to keep looking forwards. After all Tokyo’s only 4 years away!!!!!! So tomorrow is the final selection regatta for the Paralympics, and everything I’ve been working so hard for over the last 2 years all comes down to these 2 races. The support everyone has given me has been priceless, and I will value and appreciate every bit of it long after the Paralympics are over. After that anything else is just the icing on the cake. So tomorrow I’m gonna get out there and try and get myself some icing….but whatever happens, I’ve still got a great cake!!!! This entry was posted in Blog, Kelda Writes on June 3, 2016 by Ruby. Kelda writes..He (or she) who looks backwards, stumbles when moving forwards…. Kelda writes He (or she) who looks backwards, stumbles when moving forwards…. The last 2 weeks have been, what can only be called a roller coaster! I’ve thought long and hard about what I wanted to write in this blog…..at times I’ve wanted to shout, rant and blame, at times I’ve wanted to moan about how unfair life is, at times I’ve wanted to say how strong I feel….and at times I’ve wanted to say how bloomin’ weak I feel! So I’m going to say none of them!!!! Because the last 2 weeks have just been part of the journey….. I’ve learnt about myself and I’ve learnt about other people. 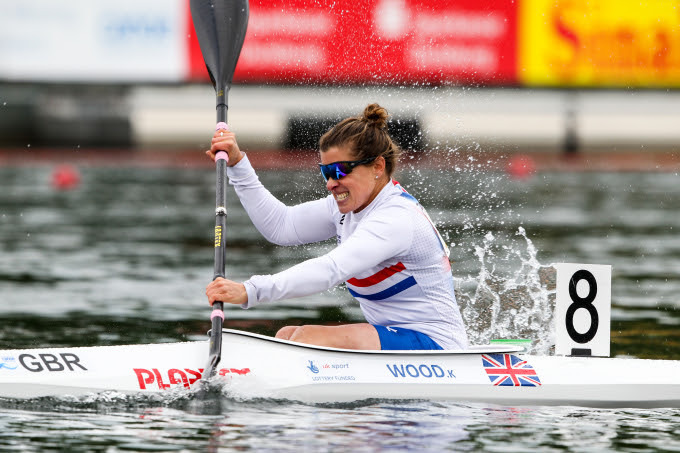 Two weeks ago I completed in the selection regatta for the 2016 World Championships I paddled 2 strong races, it wasn’t an outstanding performance, but I was happy with the improvement it showed. Having just missed out on the time that guaranteed selection, I hoped iit showed enough potential for them to still select me for the World Championships, and keep me in the game for Rio. Unfortunately it wasn’t to be. On the Monday morning I received a phone call that told me I hadn’t been selected. I was devastated. Not only did I feel that I’d done enough to deserve to be selected, but this meant my paralympic dream was over. It also meant they were leaving the squad without a reserve boat for Rio in my category, which I just couldn’t understand. The whole thing felt wrong. So I decided to appeal. To cut a very long story short, the appeal went to an arbitral panel and the decision was thankfully over turned. In 3 weeks time I’m now off to the World Championships in Duisburg, and most importantly, I’m still in with a shot at Rio! There’s a lot I could say….but I’m choosing not to. Because what’s important now is looking forwards. I’ve been given an opportunity and I intend to grab it with both hands and give it my very, very best! Last week I was guest speaker at the Shropshire Partners in Care Awards, and I had to really question just what I was going to say to everyone….or if I could even get up and speak at all! I was really questioning how much I believed the values that I’ve always stood by. Could I really stand up and inspire others, if I didn’t believe what I was saying myself! But in reflecting about what and how I would speak, I really learned something very important. We become so focused on the outcome, but things so often happen that are out of our control…so it really is about being the best person you can be, whether that be in a training session, in how we behave, or how we treat others. This has taught me something amazing….that actually my journey is about being the best person I can be, and being happy with myself, and not just about that Gold medal! The magic of the last 2 weeks has been the incredible support I’ve received from some amazing friends. It has meant so much to me to feel the love and support of so many people. I’ve learnt that in time, I’ll look back on this whole chapter and realise that, no matter what the outcome, the truly special thing about it all is how I’ve learnt to value and appreciate myself and the amazing people around me. It is not a gold medal that will define me, but how I choose to live my life. And right now, I’m choosing to appreciate every day, every training sessions and every part of this whole journey. That doesn’t mean I’m not going to attack every day with grit and determination, but as long as I give my very best, I’m going to hold my head up high, be proud and learn to be happy with myself. 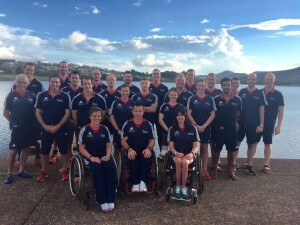 If I’m going to define myself as a paracanoeist – and maybe even as a person – based on whether I’ve paddled in the Paralympics or won gold medals, I’ve realised I’m devaluing myself. And as for anyone else who judges me on that? I probably don’t need to worry about their opinion that much anyway! Instead, I’m going to focus on enjoying myself, appreciating the people around me and pushing myself to be better, in and out of a boat. That is what I want to define me. This entry was posted in Blog, Kelda Writes on May 9, 2016 by Ruby. Kelda writes Breath, Relax…..and be Strong!! I always anticipated that this journey would be full of ups and downs, but the last few weeks have surpassed any expectations I could’ve had! 2 weeks ago we had our final performance testing before the Games, and although I’d made some improvements, I didn’t show the big gains I was hoping for. However, I’ve been working hard on increasing my intensity and aggression, and when it came to the time trials on the water last Saturday I was confident I would deliver what was needed. It was a windy day, but for once we were paddling with a tail wind, and I paddled what I felt was the best 200m I had ever done. I was buzzing! Finally I’d delivered the performance that I knew I was capable of…..and then I got my time. 56 seconds. Still slow, still a long way off the time I need to hit! I was distraught. What else could I do! I’d given it my all, I wasn’t sure if I had anything else left to give. A fair bit of sole searching went on that weekend…..but I didn’t really come up with any answers. I couldn’t even work out what the questions were! I then had a meeting with my coach. “You’ve just got to work harder” he said. Harder!!!! How can I work any harder! I really felt I had not an ounce more that I could give! Ok, I’ll admit, I got a bit emotional….some might even say irrational (just for a change!). But I’ve always been a fighter, so I was sure as hell not going to give up! So after putting things into perspective and some fantastic support from the incredible people around me, I started to come up with a plan. I’m very much an actions kind of person, and once I’d started to put this plan together, I began to see a way forward. I’ve mentioned HBP Training before. They’re a performance coaching company who are giving me sponsorship in the form of mental coaching and support. They had a few ideas that they thought might help. So on Thursday I met with Phil Quirk from HBP. He talked me through a few ideas, and recognised that potentially one of the reasons I’m not seeing the gains from the intensive training I’ve been doing, is that I’ve been trying too hard, getting stressed and getting tense….this then has a detrimental effect on my paddling, which makes me more stressed, more tense…and makes me try even harder….and so the cycle continues! We worked on getting me to relax….the complete opposite of what I thought I needed! I believed I needed to get more aggressive, more intense, paddle harder, paddle faster…..what Phil got me to see, was that actually what I needed to do was relax! If I relaxed then I could allow my body to use the power that’s just sitting waiting to be released!! It was an amazing session, and I came away confident about the way forwards. One of the best things that Phil said to me was “We’ve got this.”To feel that I wasn’t on my own, that they were there beside me, supporting me to be the best I can be, really did give me a huge amount of confidence…..and I thank them both for giving me that. The next morning I was sat on the start line, about to do another 200m time trial, and I just said to myself “Relax, we’ve got this”. Now I can’t say I went out and smashed the World record, but I did paddle considerably better, knocked approximately 2 seconds off my time…..and enjoyed it a whole heap more! I’m not saying this is going to provide all the answers, but that realization that sometimes when we try too hard, we can actually prevent ourselves from achieving what we’re capable of really will, I hope, give me a different approach to my paddling. The real learning for me is to relax, stay focused, control the controllable and don’t waste valuable energy stressing about things that I can’t control…..then I’ll put myself in the position that the gains can start to happen! This entry was posted in Blog, Kelda Writes, Uncategorized on April 13, 2016 by Ruby. Kelda writes When the Going gets Tough….. The 3 weeks since we came back from Brazil have been pretty tough. I think I must have thought I was going to come back as some kind of speed machine….unsurprisingly, that doesn’t seem to have happened!! We’ve introduced some new technical points, and I’ve been really struggling to get my head around what I’m trying to do….and the harder I’ve tried, the slower I’ve seemed to get! We’ve also introduced a new gym programme for me. We recognised in Brazil that I wasn’t hitting the targets I needed to be hitting, and that we were going to have to shake things up if I was going to make the improvements I need to make within the time frame I have before selections. And shake things up we certainly have!!!! My new gym programme is brutal! Although I can feel it will give me the gains I need, at the minute I’m feeling pretty broken after every session! This isn’t helping me to feel good on the water, as my arms and legs just feel like jelly! However, our motto in Brazil was “Train Insane or Stay the Same”…..so I guess I’ve just got to keep pushing through it! I’ll be honest, I’ve let a bit of self doubt creep in over the last couple of weeks, and self doubt can be a dangerous thing! It’s understandable why this has happened, it feels like a long time since I had any evidence to give me any reason to believe I’m capable of hitting the times I need to hit. But sometimes we just have to keep on going and work through the difficult patches….after all, if it was easy everyone would be doing it! And then I watched the Scotland v Italy rugby match at the weekend. Scotland were outstanding in their relentless drive, but after one of their players was yellow carded and sent off for 10 mins, they could easily have let their heads go down. However, instead they kept pushing, pushing, pushing…..and then they scored! I realised I need to be more like them…..even when things aren’t going well, even when your the underdog, if you keep believing you can do it, then anything is possible. I certainly don’t want to miss out on selection just because I didn’t “think” I could do it! I want to be part of that squad that will be racing on the lake in the photo below in September. I know it won’t be easy, but there’s certainly no time or room for self doubt. So next week I’m going to be attacking my sessions with belief and commitment…..it’s my choice, I can let my head go down, or I can come out believing, just like Scotland did! Aside from training, Climbing Out is gearing up for the programmes that will be running this summer. I’ve had to take somewhat of a back seat with Climbing Out while I focus on training, and I’ve found this difficult….I feel very guilty that I can’t give the commitment to the charity that I have in the past. However, I hope my personal journey will inspire and motivate many of the young people we work with and give them the belief that life isn’t about the set backs we face, but how we deal with them. 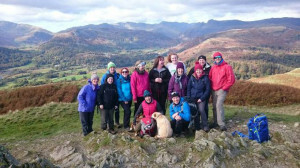 The link below shows a short video that was made during one of the Climbing Out programmes last year…..please take a look, if ever there was any reason to believe that anything is possible as long as you believe in yourself, then it’s right here in the next 3 minutes! This entry was posted in Blog, Kelda Writes on March 3, 2016 by Ruby. Kelda’s News from Belo, Brazil-one week in! Kelda‘s News from Belo, Brazil-one week in! We’ve now been out in Belo, Brazil for just over week. It’s been a fantastic experience, but it hasn’t all gone according to plan! Firstly, it rained solidly for 3 days. None stop!! So much for getting to paddle in better conditions! On the plus side, it has still been warm…..but not quite what we expected!! Last Saturday we did our first time trials of the season. This is where we treat it as a race day and go through all our processes, both mentally and physically, and then deliver 2 x 200m’s under race conditions. I’ve put a lot of things in place with both my coach and the team psych to help with this “race day” preparation, and I was really happy with what I delivered. It felt solid, focused and one of the best 200m I’ve done. However, when I found out the time, I was incredibly disappointed! Both my runs had been 57 seconds – that’s 4 seconds slower than my PB! Now water and weather conditions play a big part in the times we can hit, so I could cope with the slow time, but I was 5 seconds behind Anne Dickens, my rival for the slot for the Rio paralympics. I’ll be honest, I was gutted! After all the hard work over the winter and the gains that have been made, I expected to be much closer to her than I was. I’ve always said I wanted this blog to be open and honest….so I’m not going to hide from admitting that I struggled for a couple of days. It really knocked me. 5 seconds is a huge amount of time over 200m and I really started to question whether I was capable of making up that amount of time over the next 5 months. The trouble is, once you start to doubt yourself it then starts to impact on your sessions. The next day I had a bad session in the gym, followed by a couple of poor sessions on the water. It turns into a vicious circle, the more poor sessions I had the more it reinforced my thoughts that maybe I couldn’t do it. I desperately wanted the feisty, determined, gritty Kelda back…..but it just wasn’t happening!! I guess sometimes you just have to be kind to yourself and accept that you’re only human and can’t be smashing it 365 days a year! I didn’t like being dweeby….and I knew I definitely didn’t want to give up!!!!!! I woke up the next morning with a new sense of purpose. 5 seconds in 5 months…..that’s 1 second a month….that’s 0.25 a week…..now that seems achievable!! I went in and smashed the gym!! BOOM!!! So, it’s time to give myself a kick up the bum and approach things with a similar attitude to when I missed out on selections for the World Championships. I know what I’ve got to do, so let’s push any doubts or negativity out of my mind and get out there and give it my all. Time to believe, time to work hard…..time to make it happen!!!!! This entry was posted in Blog, Kelda Writes on January 29, 2016 by Ruby.